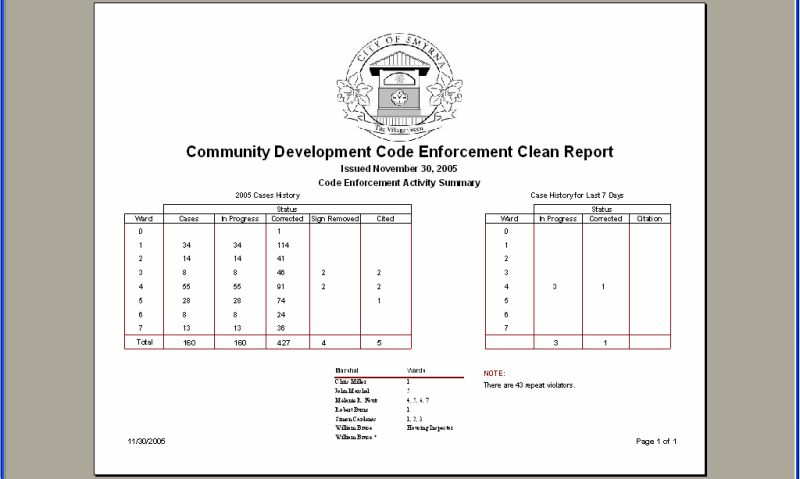 The Code Enforcement Report Cover Page gives Users and Mayors, City Councils and others a quick snap shot of what is happening in your City or County. 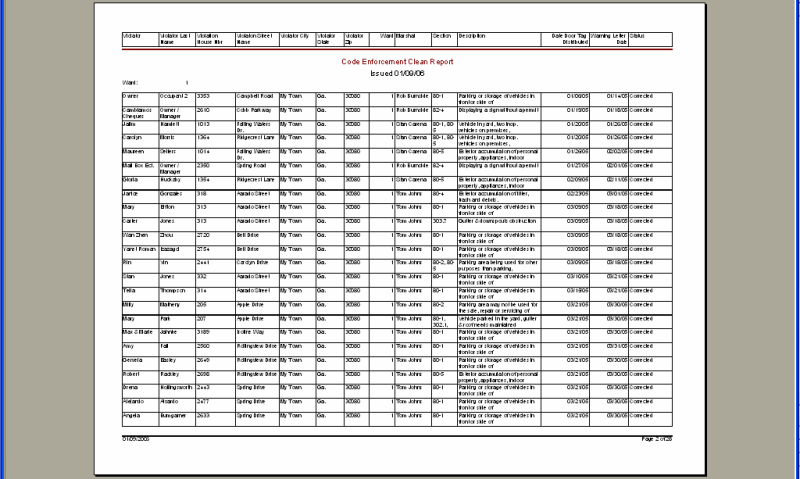 The Code Enforcement Report detail, by Ward. The Call In Report - which lists complaints, etc., called in by others. 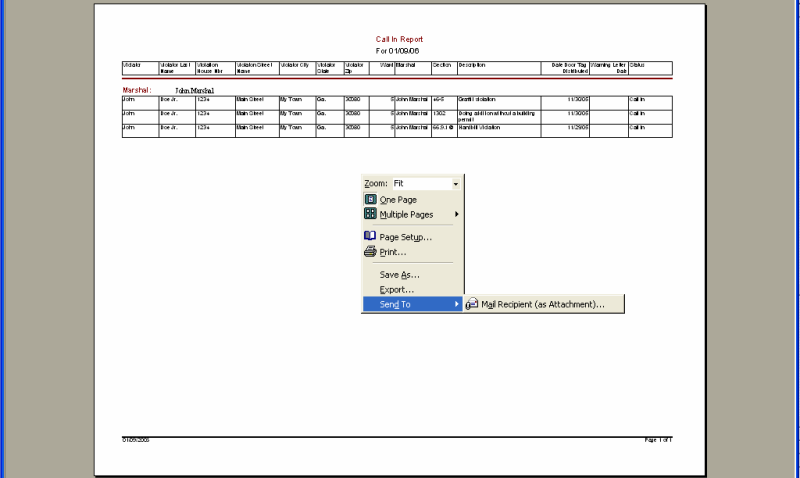 Note the ability to export and e-mail this report (and all others in the system) as well as view multiple pages at once. 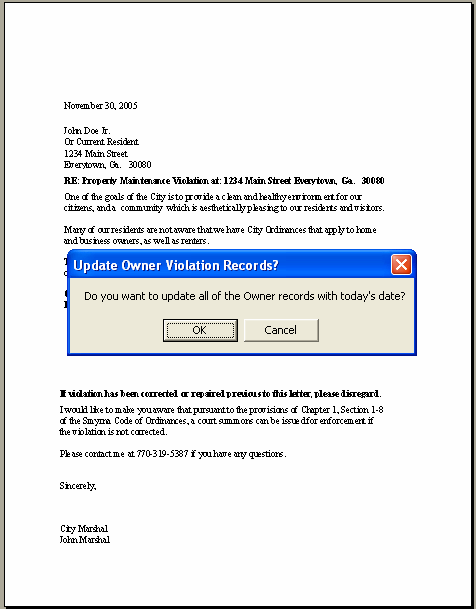 Issuing Warning Letters is a snap. And the system prompts the person generating the letters to ask them if they wish to update the database with the current date to indicate that the Warning Letter was sent. NFI will change the wording to suit your needs, for free.